Are you looking for a bundle of new Easter Literacy Centers activities which will peak the interest of your young students? These engaging hands-on printables will motivate your students to engage in alphabet, word building, and math activities in new and engaging activities. 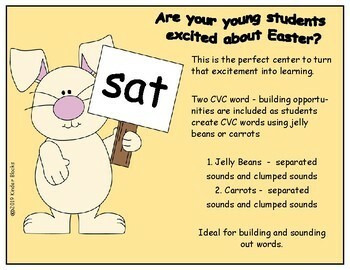 This is a Literacy Center activity created for Easter and Spring. 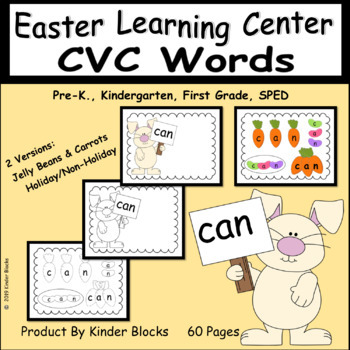 Your students will be manipulating letters (single letters or chunked letters) to create CVC words to match the word on the Bunny Mat. This center includes a jelly bean version for Easter and a carrot version for Spring. 3. 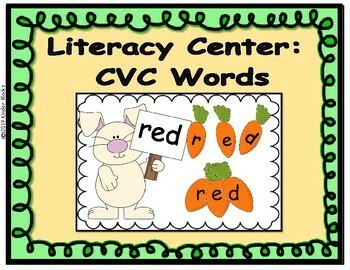 Fifteen different CVC words. Four pages are included for each word. 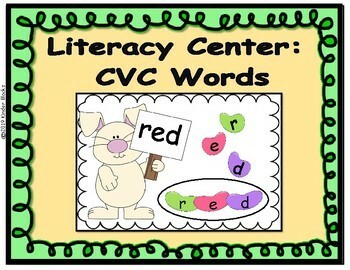 I definitely hope this Literacy center is very useful to you in your classroom. Thank you for downloading this Literacy center and reviewing our work. Please remember to leave feedback. Thank you. For more Easter products, please click below.